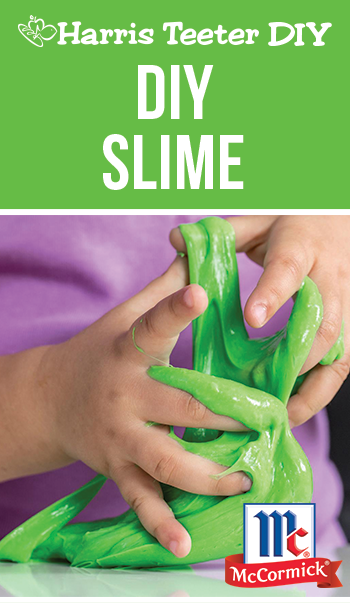 Kids will have so much fun making homemade slime. This no-Borax recipe lets you customize colors and scents using McCormick® Food Colors and Extracts. Stir in water and desired food color(s) and extract(s) until well blended and you get the color and smell you want. Stir in contact solution until mixture becomes difficult to stir. Knead with hands until you form a ball that is slightly wet, but not sticky. Store in an airtight container when not using.